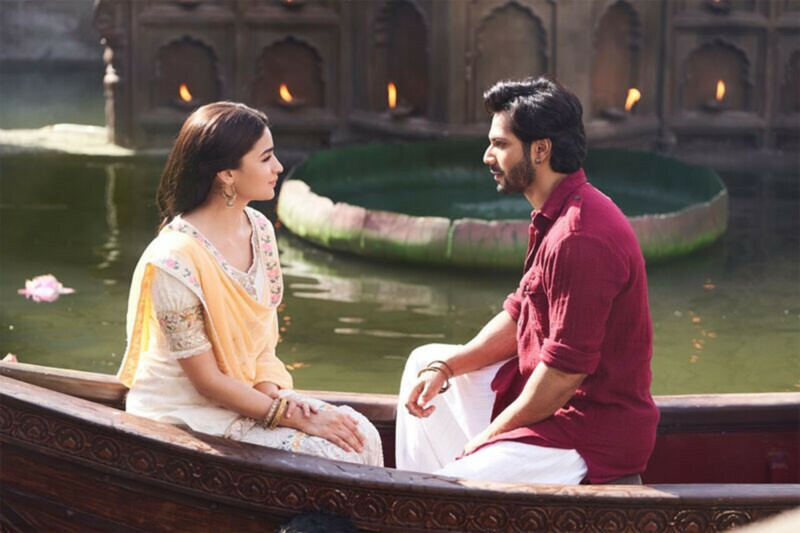 If you are a hopeless romantic, you will devour ‘Kalank’, a gloriously messy romantic quadrangle filled with supremely gorgeous players. But if you are a cynic, you are likely to chew your own hands off from sheer boredom and collective stupidity on display by a bunch of hapless lovers who love to sermonise on complexities of love, forbidden bonds, respect and obligations. It’s a tale of love and loss set in the pre-partition India with strong undercurrents of an impending civil war and religious divides threatening to engulf the residents of the Muslim-dominated Husnabad. But no matter how grim the scenario, even when a sword-wielding riotous mob is baying for blood, there’s beauty in all that ugliness. Be warned, there’s a lot of talking in director Abhishek Varman’s sweeping, inter-generational love tragedy. What makes it palatable is the combined gorgeousness of the skilled cast — spearheaded by the likes of a perfectly turned-out Alia Bhatt, Aditya Roy Kapur, Madhuri Dixit-Nene, Sonakshi Sinha, Varun Dhawan and Kunal Khemu. There’s so much beauty that you often want to overlook the inherent flaws in the film. ‘Kalank’ is strictly superficial. While everyone is saying the right things, but rarely doing the right thing, their profound words often ring hollow. Roop, a compelling Bhatt, is forced into a loveless marriage of convenience by Satya, an ailing cancer-ridden wife (Sonakshi Sinha) of media baron Dev Chaudhry (Kapur). Roop — who looks like a child bride — understandably resists that toxic union and hurtles into a turbulent relationship with a strikingly handsome Zafar, who’s way below her station. Zafar, who likes to fight bulls and work shirtless as a blacksmith, is an underdog who has been dealt a terrible hand in life. What happens when their paths collide and they embark on a self-destructive journey is the thrust of Abhishek Varman’s ‘Kalank’. At 180 minutes, ‘Kalank’ meanders quite a bit. While the scenes that showcase Dhawan’s gleaming bronzed torso are swift, the emotionally-charged scenes can drain you considerably. The scale of ‘Kalank’ is ambitious, but somehow the climax doesn’t overwhelm you as much as the fantastical theatrical sets. Even the poorer, grimy parts of Husnabad are dressed up gaudily and sanitised. The result? Where’s the soul in ‘Kalank’? The makers also seem to have been inspiredly slightly by Sanjay Leela Bhansali’s ‘Hum Dil De Chuke Sanam’. Roop’s spirited introduction with kites billowing around may remind you of Aishwarya Rai Bachchan’s entry into ‘HDDCS’. You may also have to shut your eyes to the incredibly juvenile bull-fighting sequence that was solely designed to underline Zafar’s bravado and machismo. However, what keeps this period romance afloat are the solid performances by the cast. While Bhatt is enchanting as Roop, Dixit is sturdy as a retired courtesan. Sinha — as an ailing wife with a warped sense of duty towards her doting husband played ably by Kapur — holds her own, while Dhawan as the mercurial Zafar is magnetic. Khemu’s turn as a wily power-broker is a revelation too. But the story is as old as the hills and the twists are alarmingly predictable. Though the film is mounted on an operatic scale, ‘Kalank’ never reaches a deafening crescendo. This love tragedy starts with a bang, whimpers along the way and concludes with some ado.